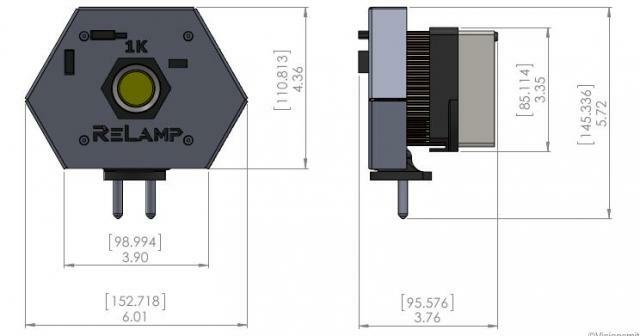 Convert your old 1K Fresnel into a heat-free, low-power LED fixture in Daylight or Tungsten! Instantly upgrade an existing Arri, Mole, or Desisti 1 kilowatt halogen Fresnel fixture to a high-performance daylight (or tungsten) colour temperature LED instrument in seconds. 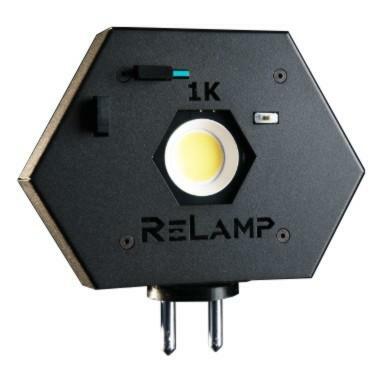 This LED Lamp is a direct replacement of the 1000W EGT Halogen Lamp. Flicker-Free: even when dimmed down. Environmentally Conscious: Easiest way to make your business sustainable. Reliable: Fully self-protected for a very long life, ongoing warranty available. ROI: A typical TV studio saves thousands beyond the initial cost within the first year! 1/4 the cost of comparable 1k LED Fresnels. Much brighter than the old glass lens, and projects a more uniform light field. Dimming Full range dimming on your existing AC dimmers.